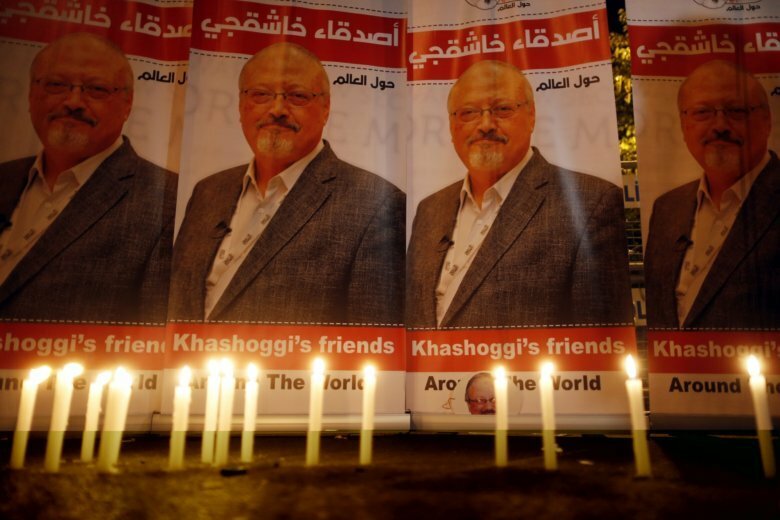 The president condemned the brutal slaying of Khashoggi inside the Saudi consulate in Istanbul as a “horrible crime … that our country does not condone.” But he rejected calls by many in Congress, including members of his own party, for a tougher response, and also dismissed reports from U.S. intelligence agencies that Crown Prince Mohammed bin Salman must have at least known about such an audacious and intricate plot. Trump said “foolishly canceling these contracts” worth billions of dollars would only benefit Russia and China, which would be next in line to supply the weapons. Critics denounced Trump’s statement saying he ignored human rights and granted Saudi Arabia a pass for economic reasons. Asked by a reporter if he was saying that human rights are too expensive to fight for, he responded, “No, I’m not saying that at all.” But then he switched the subject to the “terrorist nation” of Iran rather than any actions by Saudi Arabia. Democrats harshly criticized Trump’s decision Tuesday and called on Congress to cut off arm sales to Saudi Arabia and end support for Saudi Arabia’s war against the Iran-backed Houthi rebels in neighboring Yemen, which is facing a humanitarian crisis.